Fast, secure and reliable servers for your Phorum website. Hosting for your Phorum website that just works. Servers optimized to give you the best Phorum experience possible. We’ll even install Phorum for you! 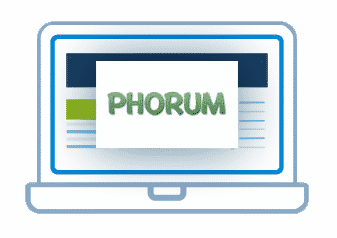 We’ll move the Phorum site for you! Softaculous auto-installer – Install Phorum in just a few clicks. GD support – Needed for many Phorum plugins. Zend and Ioncube support – Needed for some Phorum plugins. Started in 1998, Phorum was the original PHP and MySQL based Open Source forum software. 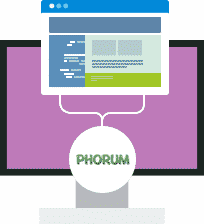 Phorum’s developers pride themselves on creating message board software that is designed to meet different needs of different web sites while not sacrificing performance or features. To satisfy the web master that needs every bell and whistle, or those that want to make their web site unique, the Phorum team created a very flexible hook & module system. These hooks allow a webmaster to create modules for using external authentication, altering message data before its stored, adding custom information about users or messages… almost anything you could want.